Hi all. 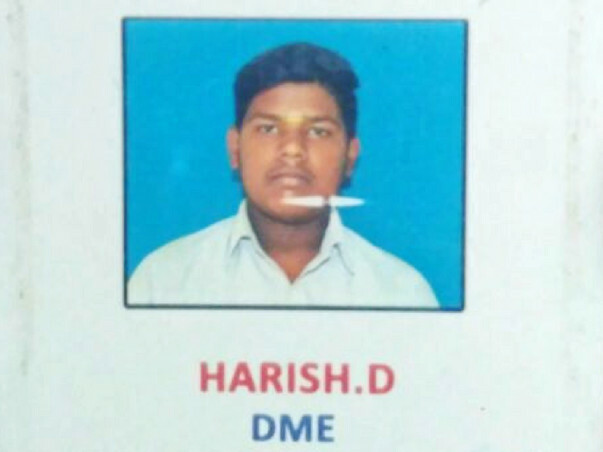 My name is Hitesh and I'm raising funds to help Harish pay his college fees for the 2nd semester. Total College fees for 1st year is INR 35000. 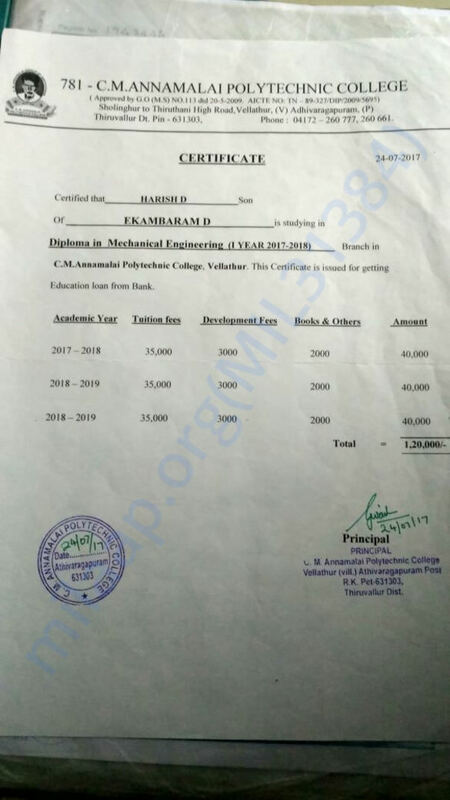 Harish has paid 17500 during his 1st semester and paid 8000 out of the 17500 for his 2nd semester. Still need 9500 to complete the fees. Plus, he has to pay INR 810 for his 2nd semester exam fees. The total comes to INR 10310. 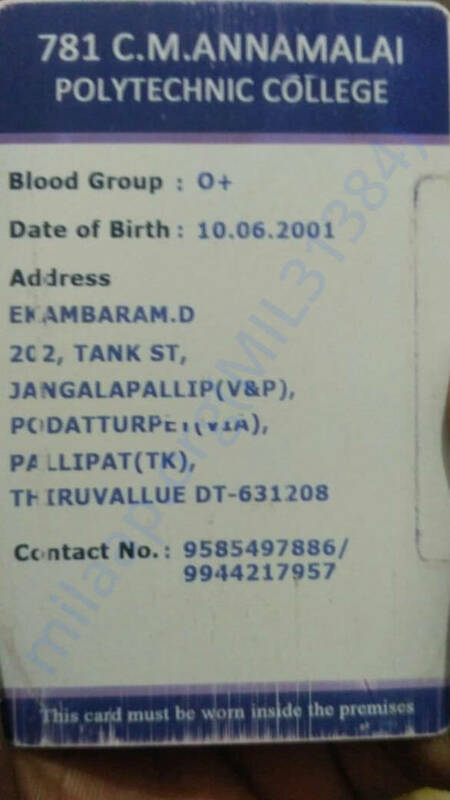 Please come forward to donate and share with your friends whom you think they can donate ! 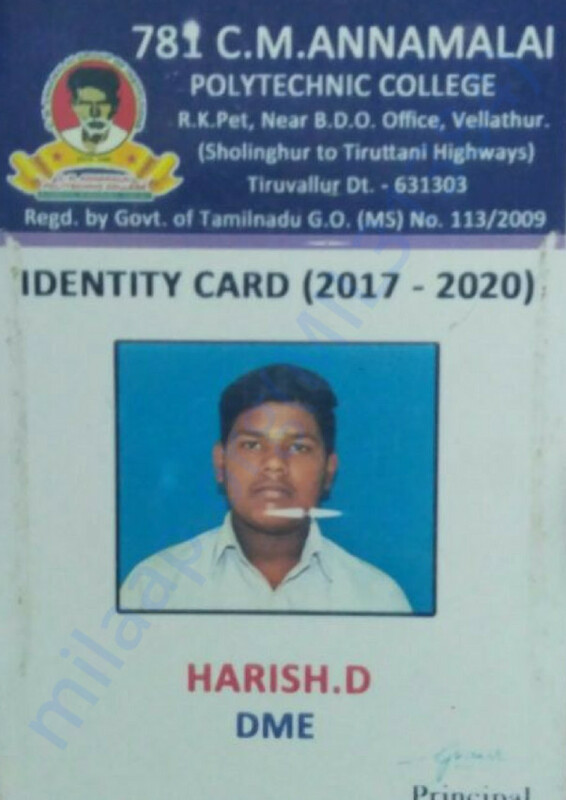 About Harish - He is currently pursuing 1st year in Diploma in Mechanical Engineering and resides in Pallipattu, Thiruvallur. Survived by his mom and dad, both earns less than 7000 per month. Within a span of 3 days, this amount has been raised. Special thanks to Milaap and also to everyone for having trust and utmost faith in this request. 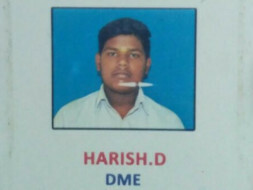 I'm sure Harish will remember this help and gratitude shown for him and his education. I will also share his 1st semester mark sheet here as per the request from one of the donor.